The Miele Guide is once again taking in votes and nominations for its 2012/2013 issue and is calling all food lovers out there to say THANK YOU to their favourite restaurants by voting for them. 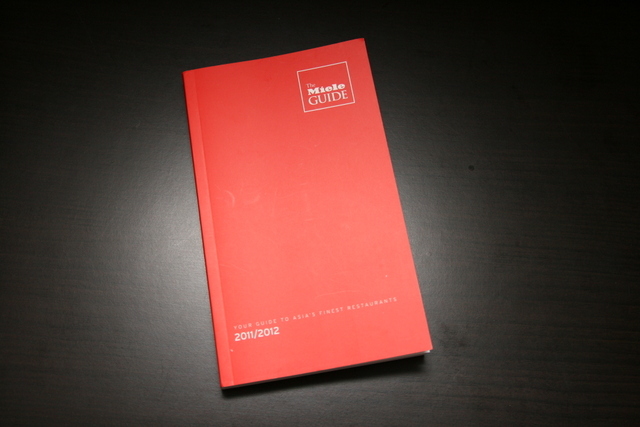 From now till 25 May 2012, you can choose your top ten picks from within the list of restaurants in any of the 17 countries represented in the Guide. If your restaurant is not listed, simply nominate it via http://mieleguide.com/voting. On the Miele Guide Facebook page, you can also share your favourite eateries, post pictures and tell us about your best dining experiences. All voters will receive a special discount of 25% off every pre-order of The Miele Guide 2012/2013 edition. For more information on The Miele Guide or on the voting process, please visit http://mieleguide.com.